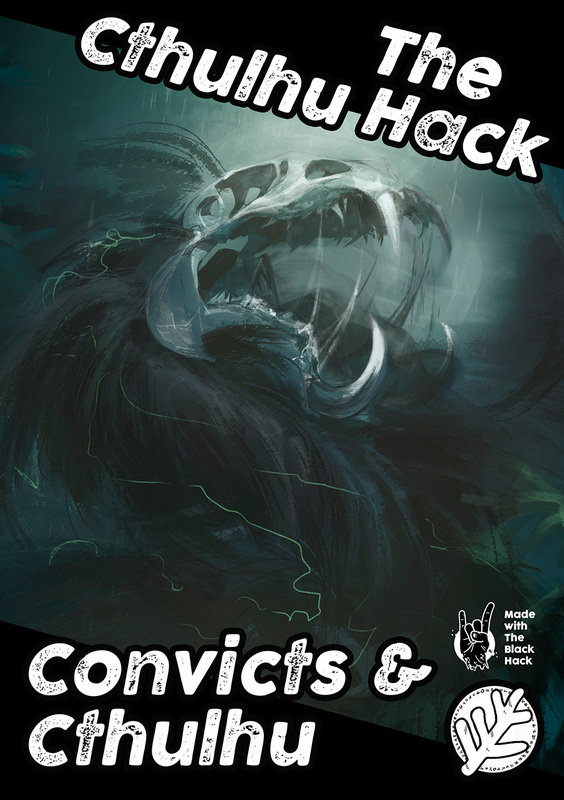 Eric Dodd has been good enough to write up a thorough review of The Cthulhu Hack: Convicts & Cthulhu, as a follow-up to his earlier review of the original source material Convicts & Cthulhu (by the Cthulhu Reborn team for Call of Cthulhu). The short summary – if you have Convicts and Cthulhu, you should pick up this light version of the game. Not only does it neatly summarize some of the background sections and themes of that game, it also includes two awesome random tables. And if you have Cthulhu Hack and any interest at all in playing in an early 1800s setting then you should also pick this up as an example of using this system in other settings. I agree that it’s worth picking up Convicts & Cthulhu and that they release more adventures and content. I’ve enjoyed running Cthulhu Hack adventures in this setting – and it’s a breeze to do the conversion. If you liked the random tables in Convicts, Eric, you are going to love The Haunter of the Dark! You can grab The Cthulhu Hack: Convicts & Cthulhu on RPGNow and DriveThruRPG as a Pay What You Want, with a suggested contribution of $2.50 (about £2). I appreciate your support and investment in purchasing this supplement – and it will support the release of future supplements, like The Keepers of the Woods, on a Pay What You Want basis.